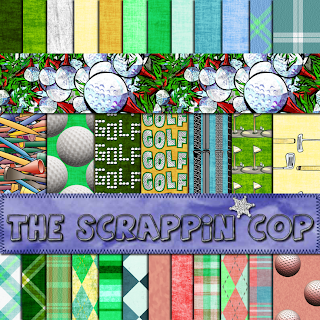 The Scrappin Cop: Golf Pattern set with Image Pack! Golf Pattern set with Image Pack! Well I finally finished the golf pattern set! I have been putzing around with it for a week but I think I'm happy with how it turned out. 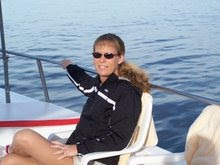 There are a bunch of solid colors and patterns, both for the guys and the girls. And there are some golf elements on transparent backgrounds to layer over the solid colors or over your favorite papers. And for my non-Photoshop friends, I've made the image pack, which are seamless tiles to insert into your pattern program of choice. I hope you like them! There have been lots of encouraging comments on 4shared for the golf elements, thank you! Thank you so much for the golf stuff you have had lately, my husband plays golf and this is neat,golf stuff is hard to find,again thanks so much! Love, love, love the golf set!! TYSVM for sharing all of this. 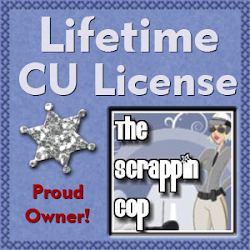 I will use, use, use it LOL! lol umm she just left in the comments section on 4shared.. Thank you for the great papers! Thanks so much for all of the great golf goodies!